Breakout Chain is a global payment system with minute transaction fees. It allows users to send money anywhere in the world instantly and directly to a recipient, without any middlemen. Carried on a single distributed ledger, known as a blockchain, exist several currencies with different uses. At the heart of the Breakout Chain “Multicurrency” system is the currency Breakout Coin (ticker: BRK). It is the Breakout Chain currency designated for payments, issuances of colored coins, pegged currencies, and used to fuel our smart contract system. 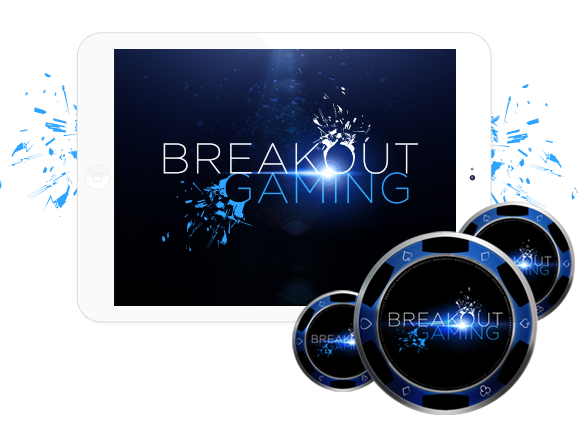 One use case for Breakout Coin is planned by Breakout Gaming, a company specializing in online gaming. 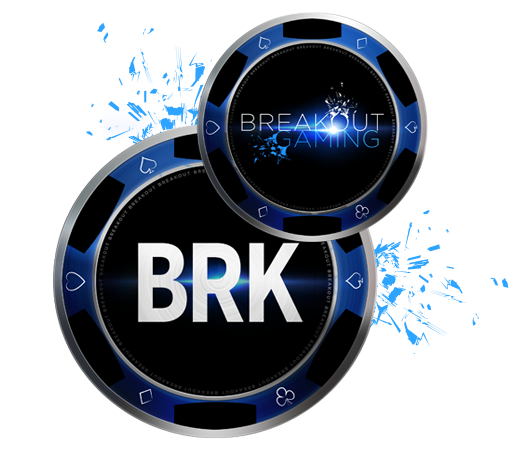 To promote adoption of Breakout Coin, we will loan 7,000,000 BRK to Breakout Gaming in 35 monthly disbursements of 200,000 BRK each. Part of the loan agreement is that these coins must be used for promotional giveaways only and can not be sold by Breakout Gaming. 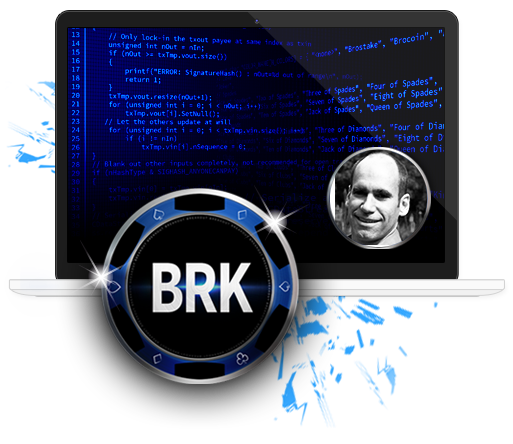 To the extent allowed by law, additional requirements are that Breakout Gaming must allow buy-ins using BRK, must allow users to cash out in BRK, must denominate ingame chips in BRK, and must fully cover player liability by holdings in BRK. The repayment period starts one year after disbursement and continues for one year. Each disbursement will be locked in blockchain escrow using the deferred availabilty function called CHECKLOCKTIMEVERIFY. This marketing escrow ensures that no coins will be available until the time of disbursement. Upon repayment, the principal of each payment will be locked in multi-signature escrow using at least one professional and trusted signatory service. After repayment from Breakout Gaming, the 7,000,000 BRK will then be available for new loans to promote adoption of Breakout Coin. All adoption loans will have extended disbursement schedules, and coins will be locked using CHECKLOCKTIMEVERIFY to defer disbursement. This system establishes a highly controlled pool of funds that can be used in perpetuity to promote Breakout Coin by essentially providing low cost marketing funds to businesses. The marketing escrow and repayment conditions ensure that the BRK supply in circulation is stable and virtually eliminates sell pressure related to promotional giveaways. Alongside Breakout Coin is another currency called Breakout Stake (BRX). Breakout Stake owners have the right to validate blocks of Breakout Chain ledger entries. For each block, the validator is permitted to claim a reward for performing the validation. The company, “Breakout Coin” is owned and operated by Breakout Services, Limitada, a Costa Rican limited liability company. The mission of Breakout Services, Limitada, is to promote adoption and use of the Breakout Coin cryptocurrency by vendors worldwide. Breakout Services, Limitada, will also develop infrastructure, like block explorers and mobile wallets, to facilitate the use of Breakout Coin. The Breakout Coin cryptocurrency will be traded on multiple cryptocurrency exchanges, beginning with Bittrex. Breakout Services has developed an API to facilitate the acceptance of Breakout Coin for goods or services by merchants. An example of a live application, please visit Breakoutpoker.com which offers gaming in legal to play jurisdictions. James Stroud, Ph.D., is the lead developer for Breakout Chain developed by the company Breakout Services, Limitada. His unique Multicurrency system enables novel types of crowd funding that rewards participants with cryptocurrencies without stifling the intended application of these cryptocurrencies. Dr. Stroud is also a co-founder of CryptoCertify, the first company to focus on auditing both the code and deployment of cryptocurrency applications. In addition to his involvement in cryptocurrencies, Dr. Stroud has a background as a Research Assistant Professor in chemistry at the University of New Mexico with over 20 peer reviewed publications in some of the top scientific journals. His publications span a range of topics in biomedicine. After receiving a master’s degree from Columbia University in biophysics and a Ph.D. from the University of Colorado in x-ray crystallography, Dr. Stroud worked as a post-doctoral fellow at UCLA studying the mechanisms of Alzheimer’s disease. His biomedical research focused on understanding the biological agents involved in several neurodegenerative diseases. Breakout Playa, SRL, doing business as Breakout Gaming, is planned by its principals as a use case for the new BRK currency, by denominating its ingame currency and units of play in BRK and by accepting BRK as a means for customer deposit or subscription or entry for gaming services. Breakout Playa SRL is a separate venture and is not part of any coin offering. Purchase of BRK Coins in this Sale does not entitle a purchaser to any share in, participation or interest in the operations, revenue, profits or losses of the planned Breakout Gaming operations. Although the Breakout Gaming company anticipates creating and offering a variety of gaming channels and offering play in cryptocurrencies, where legal to do so, there is no guarantee that the launch of its operations will occur or that appropriate markets for its planned services will support successful operations. All Breakout Gaming channels and games will be properly licensed and deployed only in legal to play markets. Breakout Gaming will use IP blocking, gaming collusion detection, KYC verification, and other measures to ensure full compliance with all International gaming regulations.